Good morning crafty friends! I am still playing with the adorable images from the March release. I can't get enough of the animals that Christine released this month! I used Hippo With Heart for my card. I colored Hippo With Heart with Copic markers. 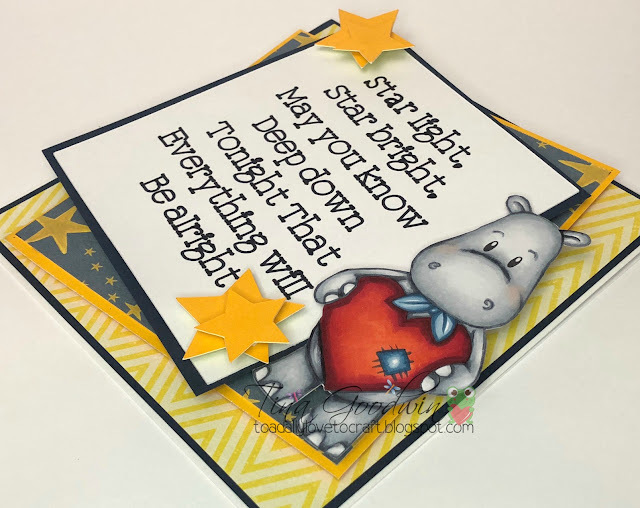 I loved the star paper that I used on the boy baby card I made so much I wanted to use it with the Hippo With Heart too. 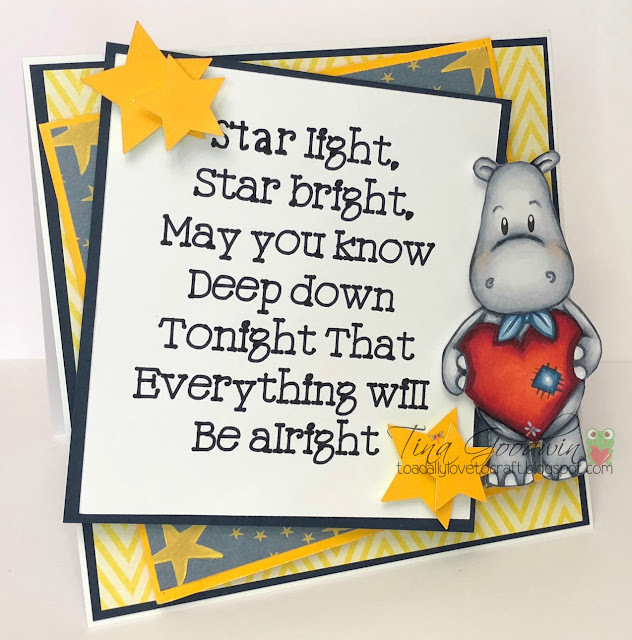 I cut the stars out with my Cricut Maker and then went to Pinterest to find a cute sentiment to go with the papers. I think I hit the jack pot with the sentiment! 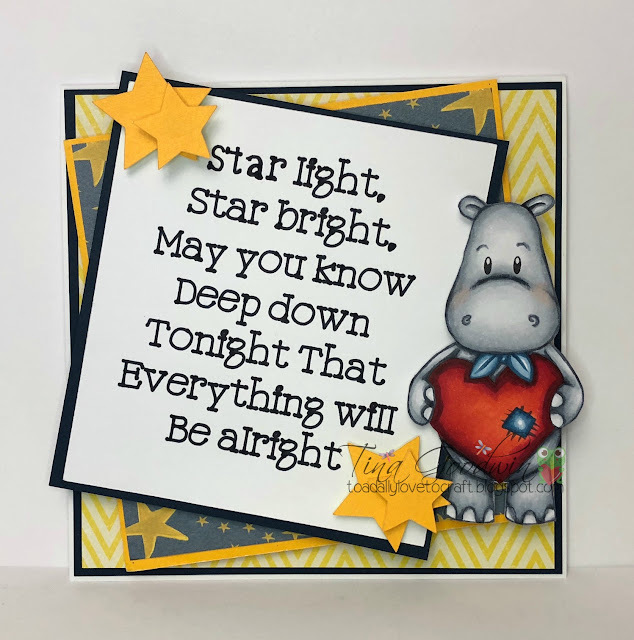 I highly recommend taking a look at the rest of the Papernest Doll Hippos. They are way too cute! Thank you so much for stopping by today! Hope you have a craftastic day!